What Happens in a Short Sale When You Have Two Loans? Doing short sales when two loans are secured to the property. How to handle dual short sale mortgage loans. Negotiating with first- and second-position lenders for short sales. Do Home Sellers Profit on Short Sales? Who wins on a short sale? Do sellers benefit from selling homes on short sales? Who profits from short sales? Are short sales better than foreclosures for a seller? Share your personal story about how your credit report was affected after a short sale. 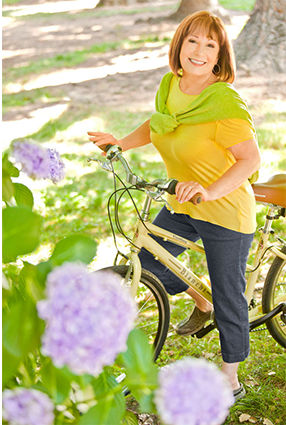 How many points will a FICO score fall? How to get a short sale approved by Bank of America. Tips for navigating Equator.com to process Bank of America short sales. How to write a hardship letter that is likely to win over the bank. Whether you seek a short sale or a loan modification, the bank will request that you write a hardship letter. Tips for putting your hardship into words. Can We Do a Strategic Short Sale Without a Hardship? The strategic short sale without a hardship is possible under certain types of circumstances. How to do a no hardship short sale. Tips to help you choose a short sale agent. How your success of a short sale is tied directly to the experience of the short sale agent you choose. Why choosing a short sale agent is different from hiring a regular real estate agent. Why some short sales fail. Types of problems that can cause a short sale to fail. How to avoid having your short sale fail. Should You Hire a Lawyer or Law Firm to Negotiate a Short Sale? Can a real estate agent negotiate a short sale or should you hire a lawyer to deal with the short sale bank? The benefits of hiring a lawyer before asking a bank to grant your short sale. Will the Bank Pay for Repairs in a Short Sale? Do banks or sellers ever pay for repairs when selling a short sale? What it really means when a bank tells a buyer the short sale is sold in as is condition. How to persuade a short sale bank to pay for repairs. Can We Buy a New House and Short Sale Our Old Home? Is it legal to buy a new second home and then do a short sale of your existing or first home? How to buy a new home when you need to short sale your old home. Will the Bank Approve My Short Sale? How to know if the bank will approve a short sale. Here are the steps required to get short sale approval from the bank. Short cuts to short sale approval from the bank. How Many Short Sale Offers Can a Seller Accept? How many short sale offers can a seller accept? Ways sellers can send a higher short sale offer to the bank after accepting an offer. Alternatives to selling your home as a short sale. To fully protect your credit, you might want to explore other options to a short sale. 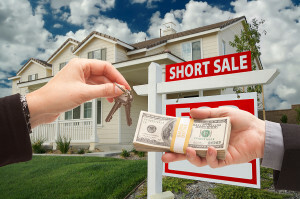 The 3 basic types of a short sale, and how you can determine which type of short sale you may encounter. Not all types of short sales are processed in an identical manner. Some short sale types are easier to get approved. How to submit a short sale package to the bank that the bank is likely to accept. Types of documents to submit for short sale approval. Tips for assembling a short sale package for submission and approved methods for delivery. How to do a Fannie Mae HAFA short sale. Why Fannie Mae HAFA short sales are different from other types of HAFA short sales and traditional short sales. How to qualify for a Fannie Mae HAFA short sale. What Are the Top 10 Frequently Asked Questions About Short Sales? 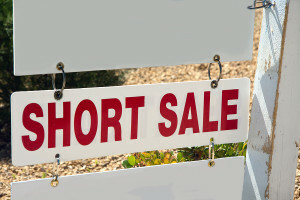 Frequently asked short sale questions, short sale FAQs, and the answers about short sales. Types of questions short sale sellers need to know the answers to. Top 10 most common questions about short sales. Financing a short sale is a little bit different than financing a regular home. Top 5 problems inherent with short sale financing. Tips for financing a short sale and closing before the approval letter expires. Types of questions to ask a short sale listing agent before you buy that short sale. How to ask the important questions without ticking off the agent. How to evaluate the answers to know if it’s worth your time to make that offer. What is a Release of Liability for a Short Sale? Explanation of a release of liability for a short sale. Why sellers who are doing a short sale should obtain a release of liability, and how to get a release of liability when the lender refuses to provide it. What is a Short Sale Approval Letter? What is contained in a short sale approval letter? How to tell if your short sale approval letter is missing a key item. How long does it take to get a short sale approval letter? Explanation of a Freddie Mac HAFA short sale. Tips for how to do a Freddie Mac HAFA short sale. How a Freddie Mac HAFA is different from other types of short sales and HAFA short sales. Why are seller-paid closing costs shown as a credit to the buyer on the HUD? Reasons why seller credits on the HUD are not necessarily a credit to the buyer. How to make money buying a short sale without going to jail. Many short sale home buying schemes are crooked and against the law. You can make money buying a short sale by following the rules.